It has already been a tradition for Robmet Romania to bring its contribution to the development of one of the sport fields, the contact sport. This time we tried to provide a starting point for those who embrace our vision and really want to become leaders in their respective fields. We are proud to announce that we have helped founding a new branch of the famous Club Scorpions Iasi in the city of Piatra Neamt. Through a high-profile sponsorship, we have opened the doors of a new training center, fitted at the highest standard in the field. We shall not stop here and will continue to back up the activity of Scorpions Club Piatra Neamt by supporting a competition team that will represent us and carry our name. We trust our way of thinking, perseverance and desire to win shall become a raw model for all young sportsmen and women and their future results will reflect the heart-felt support provided by us. This year, we turned our attention to the passionate and very young team of the Sports Club Piatra Neamt fighting division. These children do their utmost to become genuine fighters, but they need constant support. We have started with what we thought was most necessary, the sports gear. 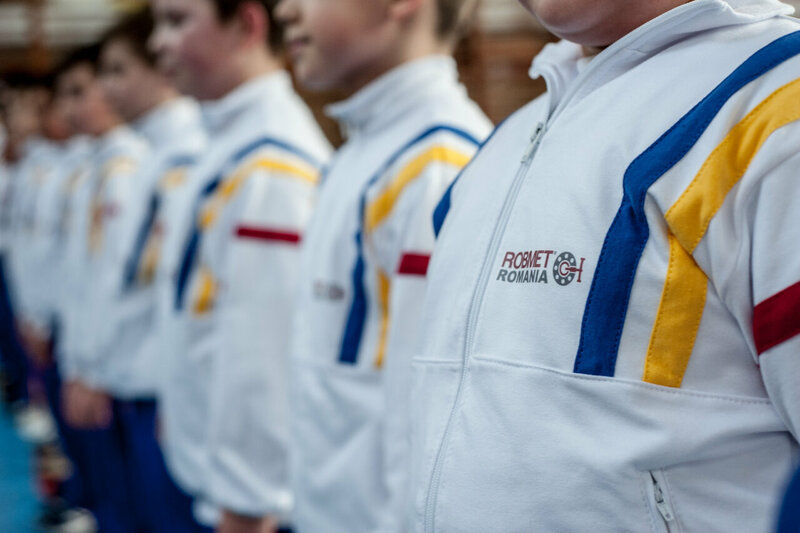 Continuing the tradition regarding the support offered to promising sportsmen and women, ROBMET ROMANIA takes an active part in the training and participation of young men and women in competitions, whom we hope to see high up the podium as possible soon. To this effect, we were the ones who sponsored the only women's fight with K1 rules as part of the DYNAMITE FIGHTING SHOW that took place in Piatra Neamt in October 2018. We are glad to see that our sportswoman got off to a good start in this high-profile competition and our efforts have been crowned with triumphs. We are pleased to announce that starting this year Robmet has become exclusive distributor for the knife gate valves produced by the French manufacturer Tecofi. This partnerships expands our range of products and also ads value and recognition to our company. Feel free to contact us at any time for further information! During 16-18 May 2016 Robmet attended as an exhibitor in Danube Eastern Europe Regional Water Forum Bucharest. The event has been open to all specialists in water since water resource managers, operators of water supply and sewerage and not least the general public interested in improving the performance of technical and managerial sector. © Copyright 2013 © Robmet. Toate drepturile rezervate.